Do You Feel Like Your Child’s Behavior is Your Fault? When you’re the parent of an acting-out child, it’s easy to feel as if you’re to blame for their behavior. As a result, you can fall into the trap of trying to fix things for your child instead of letting them deal with the natural and logical consequences of their behavior. In this interview, James Lehman explains some of the ineffective roles parents fall into, and tells you why it’s important to identify what you’re doing so you can change—and help your child change, too. It doesn’t matter who’s to blame, what matters is who’s taking responsibility. EP: How do parents fall into the trap of taking responsibility for their kids’ behavior? Parents end up getting stuck in certain roles that accommodate this stance—roles that aren’t healthy in terms of getting their child to take responsibility. They may play these roles throughout their kid’s early childhood, adolescence, and early adulthood. EP: What are some of the most common roles parents fall into when they start assuming their child’s behavior is their fault? In my work, I have identified seven ineffective parenting roles. When we’re talking about feeling guilt and taking on kids’ responsibilities, I think some roles to consider are: The Martyr, The Ticket Puncher, Bottomless Pockets, and The Savior Roles. The Martyr Role: Parents in the Martyr role take on their children’s responsibilities. Martyrs work hard to prevent their children from experiencing any unhappiness or distress—even if that distress is a natural consequence of their behavior. What children learn from Martyr parents is if they act helpless long enough, somebody will do it for them. The flip side of this lesson is the child learns that the parent has no confidence in him. In fact, the child grows to believe is that he is not able to achieve tasks, earn approval, or manage his own behavior. He becomes dependent on others and he never gets to experience learning or doing for himself. The Ticket Puncher Role: Parents in the Ticket Puncher role give approval no matter what. Imagine a train conductor punching people’s tickets as they get on the train. The child is given a “good job” or “nice work” even when he didn’t try his best or didn’t finish cleaning his room properly. 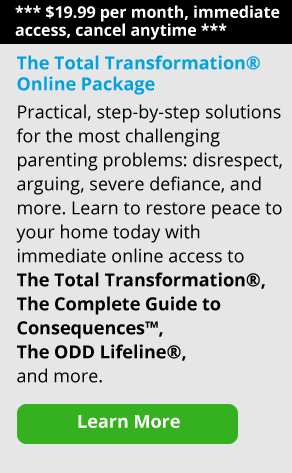 [[textads1:left]]As the child grows up, these parents constantly lower their expectations for his behavior while at the same time continuing to give unconditional acceptance. The child learns to demand unconditional approval no matter how poor his performance is. Bottomless Pockets: Parents who develop the Bottomless Pockets role overindulge their child materially—and they often do this to stop him from acting out or being demanding. They buy their kids things in order to get acceptance or allegiance from them. Often these parents spend money they don’t have; it’s easier for them to go into debt than to suffer the reaction when their child hears the word “no.” Bottomless Pockets parents also don’t require their children to earn things. Money is handed out to avoid problems, rather than as a reward for meeting expectations. Few limits are set on these kids when it comes to their buying habits, so they never learn to prioritize needs from wants. A child raised in this way acquires a false sense of entitlement—he believes that he deserves these things, so he begins to demand them at an early age. Along with this false sense of entitlement, comes a disdain for work and sacrifice, and hostility toward being evaluated or assessed. The child also learns to use material measurements. He doesn’t have a sense of self-worth based on the job or his accomplishments. Work becomes a reflection of material items only. The Savior Role: When parents are in the Savior role, they tend to protect their kids from the natural and legal consequences of their behavior—they run in and actually rescue their kids. They’ll fight with the school about consequences, whether it’s a suspension or petty crime. They predict negative outcomes in order to get their way, using statements, like “If you don’t listen to my plan for my child, you’re only hurting him. You’ll destroy his self-esteem and ruin his future.” And they’ll use that for everything from the expectations for a math course, to punishment the school is giving out to their child for disobeying the rules. Parents in the Savior Role will often stop at nothing to save their child. The sad thing is, they have no way of knowing that, in the end, they are only doing their child a disservice; he’s not learning how to face the consequences of his choices. EP: James, when you’re in one of the ineffective roles, you might not even realize you’re being ineffective. How do you know? JL: Well, you often don’t. And by the time you realize it, it’s often been going on for quite some time. Parents in these roles are constantly playing catch-up. As their children evolve, and test limits and act out more, these parents are always trying to catch up to them. If you see yourself in one or more of these roles with your older child, chances are you’re still trying to play catch-up, but the train has already left the station. You keep doing the same thing, and your child still keeps acting out, or the behavior escalates to a point that feels beyond your control. I remember working with parents who had young adult children in their early twenties who took no responsibility whatsoever. The parents paid for their cars and their insurance. Their children lived at home and were often very demanding about meals, having guests over, and everything else. Many of these kids couldn’t or wouldn’t keep a job, but they always blamed the company and the manager when they were let go. They did not know how to take responsibility. One family that I worked with never confronted their adult son or held him accountable. After awhile, he gave up on getting a job at all and just lived off his parents. The last I saw of him, he had pulled a knife on his father. The police were called and charges were pressed, but sadly, it was too little too late. EP: What if you feel responsible for making your child like this in the first place? JL: That’s a good question. Parents need to remember that there’s a difference between responsibility and remorse, guilt, or shame. I tell parents all the time that it doesn’t matter whose fault it is, what matters is who’s here today in the office. It doesn’t matter who’s to blame, what matters is who’s taking responsibility. Of course parents make mistakes. Of course they inadvertently get into negative patterns and behaviors raising their kids. But half the battle is to understand what those patterns are and to work on changing them. Some parents have easy kids who do what they’re supposed to do, and they learn how to comply as a coping skill. These kids learn that very early on, and they spend their adolescent years trying to comply. They might rebel at some point, but they don’t do anything abusive or nasty. My message to parents is that you may feel guilty about some things that you did, you may feel bad about them, but the bottom line is that if you’re seeking knowledge, if you’re seeking parental guidance programs, if you’re reading this article, then you’re taking responsibility now. And that is to be respected. You’re going to have feelings of remorse and guilt. Parents often do. Many divorced parents feel this acutely. But the bottom line is that you’re not perfect, you make mistakes. And starting today, if you can learn to do something differently, then you’re taking responsibility. Now, expect your child to react with a lot of anger and hostility when you do try something different. There will be a lot of blaming and a lot of blackmail. Your child may say, “This is all your fault; this happened because you and Dad got divorced.” He is going to resist any limits you try to set. That’s why I believe parents need to have a plan. Figure out ahead of time how you’re going to start holding your child accountable. Parents need to have an outline of what they’re going to do to hold their child responsible if and when their kid rebels. Once you do that, you’ve got to be pretty straight about it. Talk to your child about what will be changing and what they’re doing, but do it when things are going well. Don’t have this conversation after a conflict or a fight. When things are calm, sit down and introduce some ideas to your child. EP: How can you stop martyring yourself with your kids? What is the responsible way to get them to be accountable for themselves? JL: Let’s say today is the first day you’re realizing, “Okay, I have to change the way I’m parenting my child or he’s never going to be able to get up on his own two feet.” How do you do that? I think one of the things that you need to do is to identify yourself with the ineffective parenting roles that you’re playing and work on changing them. There are also effective parenting roles that I’ve identified in my work with parents. These roles are the Training and Coaching Role, Limit-Setting Role, and the Problem-Solving Role. I think parents should find that kind of information and learn a different parenting style. It’s very important that parents get some background information and know what they want to accomplish. I believe that if parents learn these three basic roles, they’ll become more effective in getting their kids to perform. I think kids need training and coaching much more than they need therapy. Acting-out kids need to learn the skills that will allow them to do things they need to do to feel better. The Problem Solving Role: Help your child to problem-solve and learn new skills. Do a little interview with a short discussion. “I think I’ve been doing too much for you, but I realize that’s not healthy for you or for me. What do you think you can do differently the next time I ask you to clean your room? What can you do to remind yourself that you can’t expect Dad or me to do it for you?” And see what your child says. If he doesn’t give you an answer, help him out. “Well, you could clean it yourself.” And then remind him what you talked about when the time comes for him to take care of his responsibilities. Think of it this way: a coach at a baseball game will be saying, “Good catch, Jessie.” He’ll also be saying, “C’mon Jessie, we worked on batting all week. Get out there and do it now. I want to see you do it better.” And that’s what you, as the parent, should be saying. “Look, we’ve been working on compliance this week, and you need to do your chores. Let’s get out there and do them.” I think it’s very effective when you couple this with task-oriented consequences. Consequences like, “You have no TV until those chores are done.” Here’s the deal: instead of the fallacy that says “I’m going to feel better by talking about my feelings,” the coaching role says you have to feel better by learning how to do things better. The Limit-setting Role: The Limit-setting Role is the third role you need to play in order to make your child be accountable. I believe families need an authority figure. If your family doesn’t have a clear authority figure, it will show. Kids need parents who will set limits and follow through. Kids need parents who are going to say, “You can’t go out tonight; it’s a school night,” and not apologize for it. You keep it as simple as possible. You don’t make speeches about responsibility, I think parents do too much justifying and not enough of being the authority figure and establishing and maintaining rules and roles. Limit-setting parents are also task-oriented. They set out their expectations clearly and look at their child’s performance in terms of tasks, not in terms of attitude. It’s not that “I want you to feel good about yourself and have a good attitude,” it’s that, “I want you to get your chores done.” The theory is this: If you get your child to do his chores or homework, he’ll feel good about himself and have a better attitude. Remember, you can’t fix his attitude. Once you take responsibility for your child’s attitude, you’re hurting. And you’re stuck, because then every time your child frowns, you’ve got to make it a smile. A lot of parents take on the responsibility for their child’s attitude. They end up treating their kids like they’re infants. But the bottom line is that the Limit-setting parent sets out expectations really clearly and makes things task-oriented. The beauty of it is that you’re teaching your child how to comply by behaving his way to better feelings. EP: Is it possible for the adult child, who has never taken care of himself, to change? JL: Absolutely. Positively. People change all the time—even older children with ingrained habits—but they don’t change voluntarily. And I’ll tell you something, change is not as difficult as you think. People just need a plan for change. The difficulty comes with the resistance to change.